Gwendolyn Stiggins Cruzat was born in Chicago, Illinois, and her family migrated to Midland, Beaver County, Pennsylvania, northwest of Pittsburgh, where she grew up. Gwen described her hometown as “small town America, where everyone knew everyone else’s business and everyone took care of everyone else.” Gwen graduated from the local schools and then attended Fisk University. While at Fisk, Gwen majored in mathematics and physics and received a BS degree. Because of her academic excellence, Gwen graduated early from college and was offered a job at the Aberdeen Proving Ground, US Army, Harford County, Maryland. Her parents, especially her mother, did not like the idea of their daughter alone on an Army base, so Gwen went to graduate school at Atlanta University, where she earned the master of science degree in library science. Gwen hoped that a dual degree could be earned in both library science and mathematics, but earning a master’s degree in mathematics did not happen. Gwen’s teachers and advisors at Atlanta University recognized her lack of enthusiasm even while earning high grades and urged her to concentrate on library science which she did. As she applied herself, Gwen was encouraged to think more about further graduate work. Atlanta required a master’s thesis and placed a major emphasis on research, which Gwen liked. Her thesis addressed public libraries and reading selection as it related to television interests; she was later told in her academic career that this thesis was highly sought after by other students. After graduating from Atlanta, Gwen obtained some library positions including one at the Los Angeles Public Library. This was also a time for marriage and then divorce. Her first major academic library appointment was at her alma mater in the Fisk University Library where she was the head of reference from 1954-1960. A position for a science librarian lured her to Detroit, and although she did not receive that position, she was recommended to Barbara Coe Johnson, the director of Detroit’s Harper Hospital Library. Gwen applied and was accepted, and she joined Barbara’s staff from 1960-1964. Gwen learned about medical librarianship from Barbara while at Harper and from attendance at a course on medical librarianship at Columbia University, offered by Tom Fleming. For many years, Harper Hospital has been closely associated with the Wayne State University School of Medicine, so Gwen’s work was noticed by librarians at Wayne State. Gwen was approached to consider a position at the medical school library and she accepted. She worked under Vern Pings and was responsible for directing Wayne State’s internship program in medical librarianship. Under Vern’s direction and influence, the position at Wayne State also fueled Gwen’s interest in research, which led to pursuit of a doctorate in higher education and information science. Her advisor at Wayne State was Sigurd Rislov, and though she preferred to pursue research related to physicians’ access to information, Dr. Rislov was more persuasive in directing her interests toward his own, namely, collective bargaining. Thus, her dissertation concentrated on “Collective Bargaining in Academic Librarianship,” and she received her doctorate in 1976. Gwen’s reputation for scholarship and her Medical Library Association volunteer work was growing and gaining the attention of deans at various library science programs. She began the teaching part of her career in 1970 as a visiting lecturer at the University of Western Ontario, London, Ontario, Canada. At the same time, she obtained a position as an adjunct professor at the University of Michigan. While still working on her doctorate, Gwen became an assistant professor at Michigan in 1971 and climbed the academic ranks to become associate professor in 1976 and full professor in 1979. While at Michigan, Gwen accepted visiting professorships at the Universities of Hawaii and Maryland and consulted at the Federation of North Texas Area Universities. Gwen became nationally known for establishing Michigan’s reputation in teaching medical librarianship. Gwen’s program offered several courses for students, and she was instrumental in creating an innovative online teaching laboratory where students could master their skills in database searching and cataloging. In addition to her master’s students, Gwen was chair of the doctoral program and mentored a number of doctoral students, some of whom went on to create medical librarianship courses at other universities. 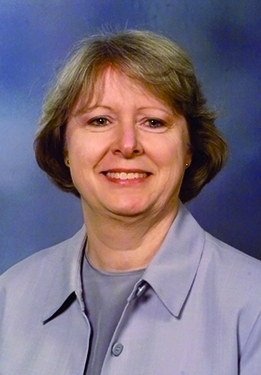 While Gwen was developing her teaching career, she also was active in library association work and consulting, particularly with the MLA but also with the American Library Association and with the Association for Library and Information Science Education (ALISE). Gwen held several committee appointments and leadership positions in MLA. She remarks in her interview that her involvement in MLA is the result of being mentored by MLA leaders, chiefly Barbara Coe Johnson, Vern Pings, Irwin Pizer, and Erich Meyerhoff. Gwen’s first MLA committee was serving on the 1969-1973 Ad Hoc Committee to Review the Goals and Structure of the MLA. Several other activities followed, including service as a CE instructor, work on the Ad Hoc Committee to Examine the Status and Economic Interests of Health Sciences Library Personnel, chair of the Medical Library Education Section, chair of the Library Research Section, chair of the Janet Doe Lectureship Committee, member of the Bulletin of the Medical Library Association Editorial Board, and several other committees. Her consulting positions included several at the National Library of Medicine, the US Office of Education Bureau of Libraries, the Library of Congress Affirmative Action Office, White House Conference on Library and Information Services, the US Information Agency, and the Biblioteca Regional de Medicina – São Paulo, Brazil, and many more. 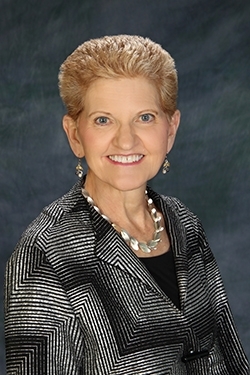 For ALA, Gwen held several committee appointments including chair of the Collective Bargaining Committee and serving on the Committee on Accreditation. She held positions on the Task Force for Accreditation Guidelines for Faculty, the Goals and Implementation Committee of the Science and Technology Section, and service to the Information Technology Association and the Government Documents Roundtable. For ALISE, Gwen served on the Government Relations Committee, the Program Committee, the Research Committee, and liaison to MLA. During her extensive career, Gwen received many acknowledgements, awards, and honors. Chief among them included: the Distinguished Service Award from the University of Michigan in 1977, the MLA Janet Doe Lecture in 1979, member of the NLM Board of Regents 1981-1984, the University of Michigan Alumni Association Director-at-Large from 1986-1989, the Distinguished Alumna Award from Atlanta University’s School of Information and Library Studies in 1989, MLA Fellow in 1993, MLA’s Notable 100 in 1998, professor emeritus, University of Michigan in 1993, Fisk University Board of Trustees, 1996-2005, and an honorary Doctor of Humane Letters from Fisk University in 2006. Gwen also appeared on the cover of two library publications: American Libraries in February 1978 and the BMLA in April 1990. Gwen’s professional accomplishments did not deter her from enjoying the goodness of her life. She lived in Ann Arbor from 1971 to 1986, and then she enthusiastically adopted Detroit as her home and purchased a Mies van der Rohe town house in an historic district near downtown Detroit in 1986. Gwen loves art and her purchase of an architectural landmark lets her “live in art every day.” She made the commute from Detroit to Ann Arbor without hesitation from 1986 until her retirement. Gwen also has a particular love of sports. Not athletically inclined herself, she has always been drawn to sporting events since a young age. Living in Detroit gave her access to all major sports which she absorbed with enthusiasm. Gwen turned this strong interest in sports into an academic advantage. 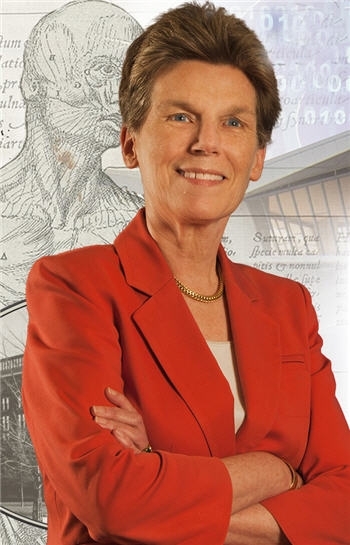 Early in her career at the University of Michigan, Gwen was appointed to serve on various academic oversight committees involving student athletics, including chairing a committee for building a central campus intramural building. Her first appointment was in 1971 with the University of Michigan’s Advisory Committee on Intramurals, Recreation and Club Sports. This appointment morphed into an appointment to serve on the university’s Board in Control of Intercollegiate Athletics. For more than a decade, Gwen was Michigan’s co-faculty representative to the Big Ten Intercollegiate Conference. At the same time, she was also the University of Michigan’s delegate to a number of NCAA Annual and Special Legislative Conferences. These appointments were highly noticeable bringing local and national attention to Gwen, the library science program at Michigan, and the library profession in general. Gwen continues to enjoy retirement in Detroit, collecting art and keeping in touch with family, friends, and former students.